DeepSoul: Freddie Scott - "Hey Girl"
While covered by many artists, "Hey Girl's" original 1962 version reaches emotional heights due to its underrated lead singer. It's one of those songs you've heard numerous times, covered by everyone from Billy Joel to Michael McDonald, Ray Charles, The Temptations, the Righteous Brothers, and even Donny Osmond. But the original 1963 version of "Hey Girl" receives little airplay today, which is unfortunate. 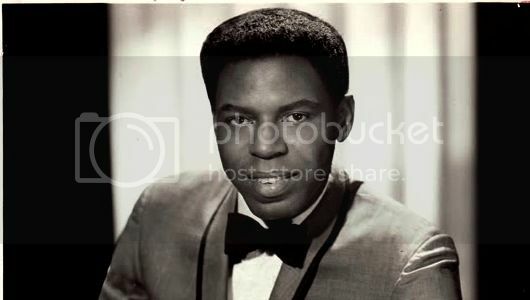 Soul crooner Freddie Scott used his impassioned vocals to create an underrated R&B classic ballad, written by two very well-known and gifted songwriters: Carole King and Gerry Goffin. Before "Hey Girl's" success, the Providence, R.I.-born Scott had already earned a reputation as a behind-the-scenes singer, songwriter, and producer. After stints at tiny labels such as Bow and Arrow and J&S, releasing little-heard singles, he joined the Brill Building songwriting firm Aldon Music in 1959. There he had a fateful encounter with Goffin and King, who were writing "Hey Girl" in 1962. They asked Scott to assist with the tune, as they hoped to pitch it to vocalist Chuck Jackson. When Jackson failed to make the recording session, Scott sang the track instead. In a classic "understudy hits it big" moment, "Hey Girl" became Scott's first smash, reaching number ten on Billboard's Hot 100 and R&B charts in 1963. Scott did not attain another big hit until 1966, when he co-penned and recorded "Are You Lonely for Me." That song reached number one on the R&B charts, but its label, Shout Records, soon folded. Scott continued to write, perform, and even delve into acting before passing away in 2007. Listening to "Hey Girl," it's easy to see why the song endures. The melody lingers, and Scott's incredibly sincere performance transcends the otherwise familiar theme of "baby please don't go." When he cries out "I'm not ashamed to get down on the ground" toward the track's end, listeners believe every word he says. A female chorus plays the part of the girlfriend, who seemingly spurns every one of his pleas with the phrase "bye bye baby." But how can she resist Scott's lilting voice delivering verses such as "Hey, girl, I tell you no lie/ Something deep inside of me's going to die/ If you say so long." A string arrangement emphasizes Scott's despair, underscoring lines such as "How can I go on?" Thus "Hey Girl" becomes more than just a catchy song--it's a mini-drama acted out on record. Many artists have covered the song, but Scott's incredible performance best captures the longing and and passion that Goffin and King's straightforward lyrics convey. Why Scott did not achieve tremendous crossover success remains a mystery, as his powerful voice ranks with some of the best soul singers of his generation. Almost 50 years later, "Hey Girl" has lost none of his emotional punch due to its deceptively simple lyrics and Scott's heart-wrenching interpretation of those words.